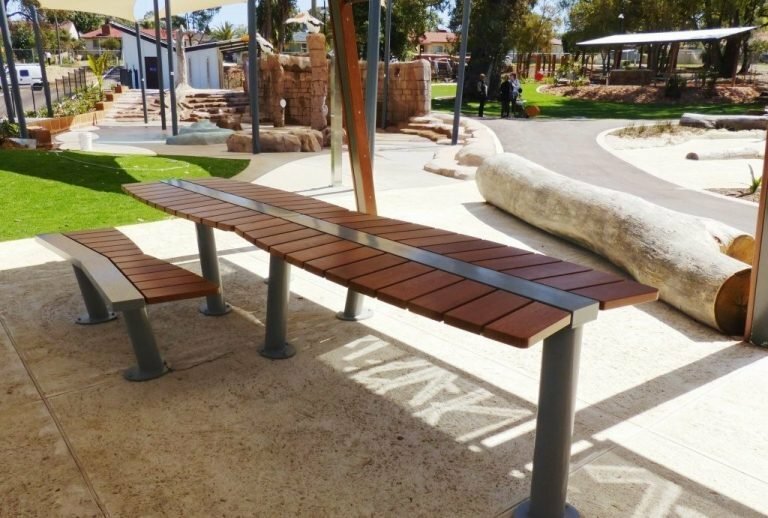 Working in conjunction with the City of Kwinana landscape architects and Josh Byrne & Associates, we designed a new range of furniture that complimented and embodied the beautiful bush setting of the Kwinana Adventure Park project. 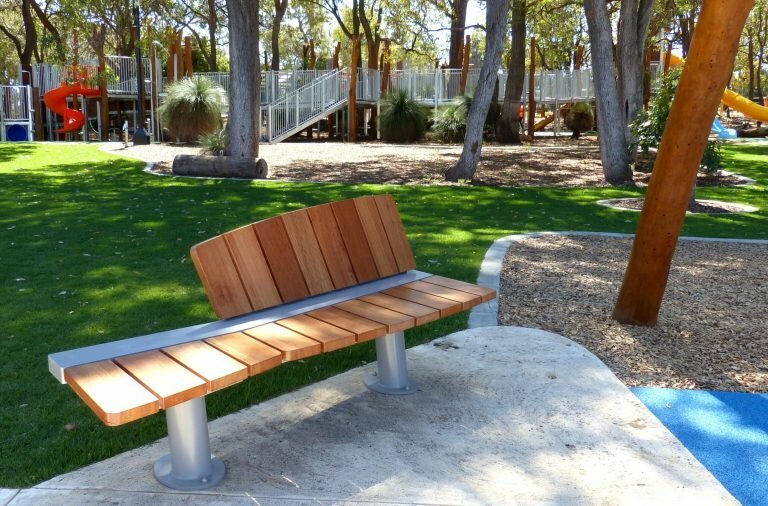 The exciting all-access playground, which meanders through the existing tree canopy, offers a great diversity of play opportunities for all ages and capabilities, and includes the Tree Maze, Splash Pad, Sand Play, Action Play, Sensory Play and Junior Area, and also communal picnic areas for large groups. Inspired by the softer forms and structures found in nature, the resultant furniture designs comprised a series of articulated seats and table settings with gracefully curving edges and wide, beautifully arrayed Sheoak boards, offset at an angle to subtly reinforce the botanic references. A playful and interesting element of asymmetry was introduced with seats available in ‘left hand’ and ‘right hand’ versions. Combined with angled legs and cantilevered platforms, the result was a satisfying balance between poise and motion, very much at home in the project environment. 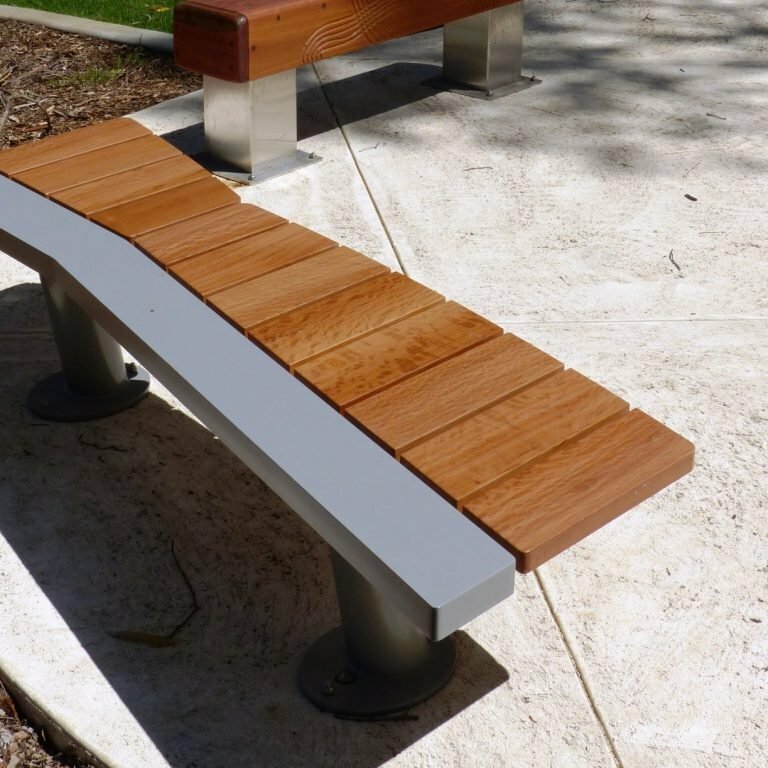 The beautiful and refreshingly different furniture developed as a result of this project was launched in 2016 as the new Cox Urban Furniture ‘Botanica’ range. Inspired by botanical forms and structures. All table settings are wheelchair accessible and DDA compliant. Asymmetry was introduced with seats available in ‘left hand’ and ‘right hand’ versions. 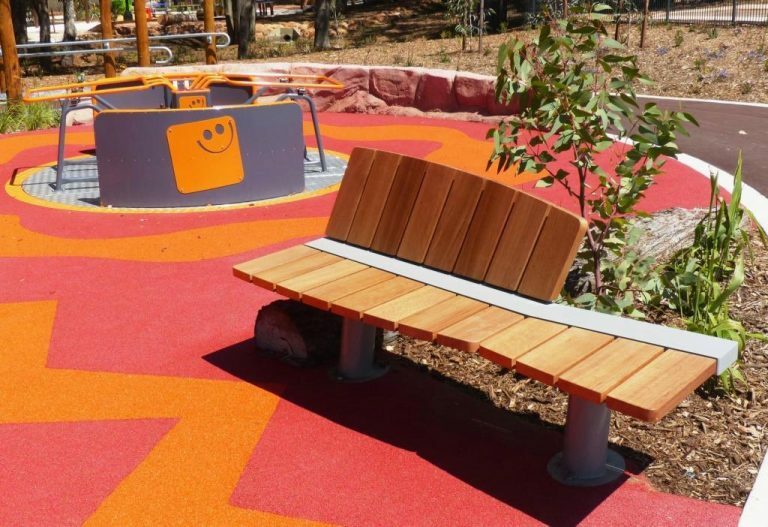 The park provides play opportunities for all ages and capabilities. 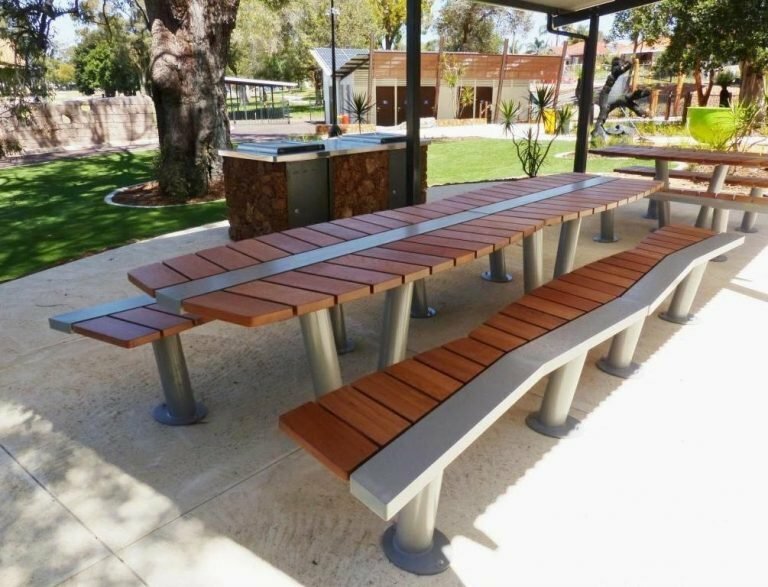 Communal picnic areas with connected table settings for large groups. 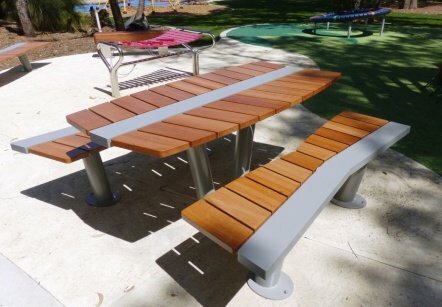 Sheoak was sourced for this project.